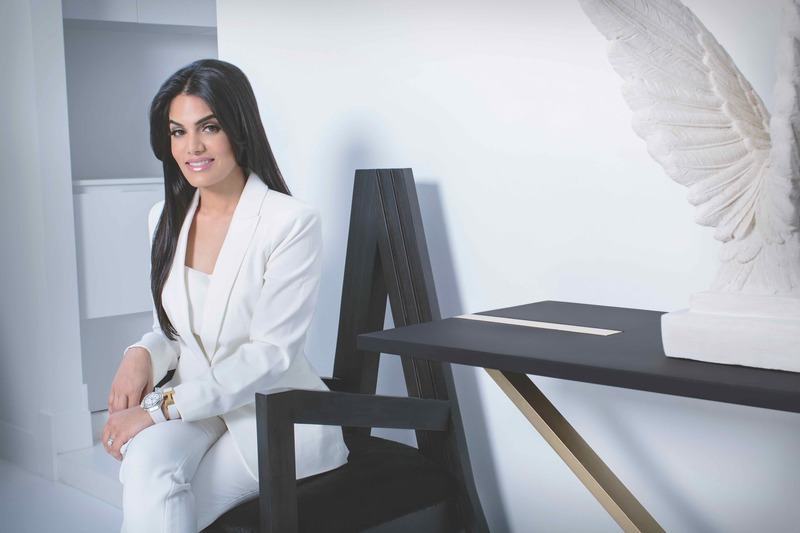 For multi-award-winning designer Nina Magon, "minimal" doesn't mean boring. Known for her modern aesthetic that balances bold high design with glamorous appeal and her viral Live Stylish Daily blog, Magon incorporates texture, color and client requests in this Sugar Land, TX, spec home. 1. The homeowner didn’t want her home to feel like a spec home. 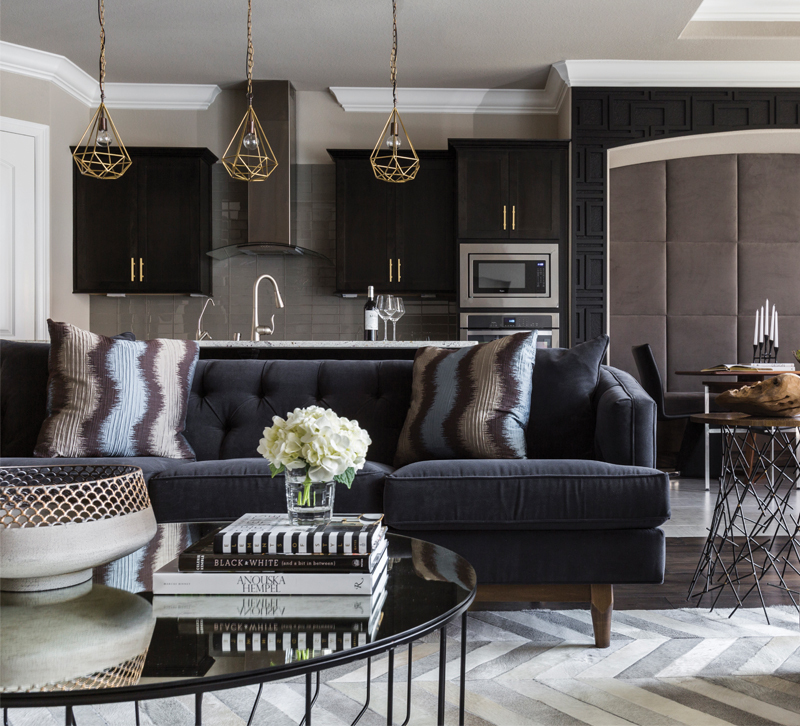 She wanted the space to feel more unique and have designer finishes — all while not changing the interior structure of the home. She was completely open to change and asked that we fill the home with things she’s never seen before. We painted the kitchen cabinets, and added architectural details to the breakfast room niche and back wall of the master bedroom. 2. We’re always inspired by architectural details in a home we’re working on. In this case, we completely embraced them. The details are so beautiful that it wasn’t very difficult to incorporate them into our design. She wanted everything to feel customized and was really focused on making sure the space felt comfortable, modern and unique. 3. Texture is really quite beautiful when added with solid items. It could be a visual texture or an applied tangible texture, but it must always be mixed to create just the right balance.